Come celebrate all kinds of board and TCG gaming with us! Spend $5, get 1 die. 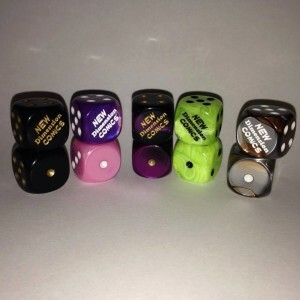 Spend $20, get a set of 5 dice. Purchases must be made in gaming merchandise. Plus, lots of demos and events all day! All locations! Game on! PLUS, 20% OFF ALL Gaming Products! Events at other stores TBA.